So often we hear phrases like Proverbs 31 woman and Titus 2 woman tossed around in the Christian community as women we should aspire to be. It’s definitely true that we should desire to pattern our lives after these examples because at their core, they are God honoring. If we honor God at our core, we can’t help but to bear good fruit. Please don’t take this to mean that we have to have a checklist so that we can be sure to squeeze it all in in our lives. 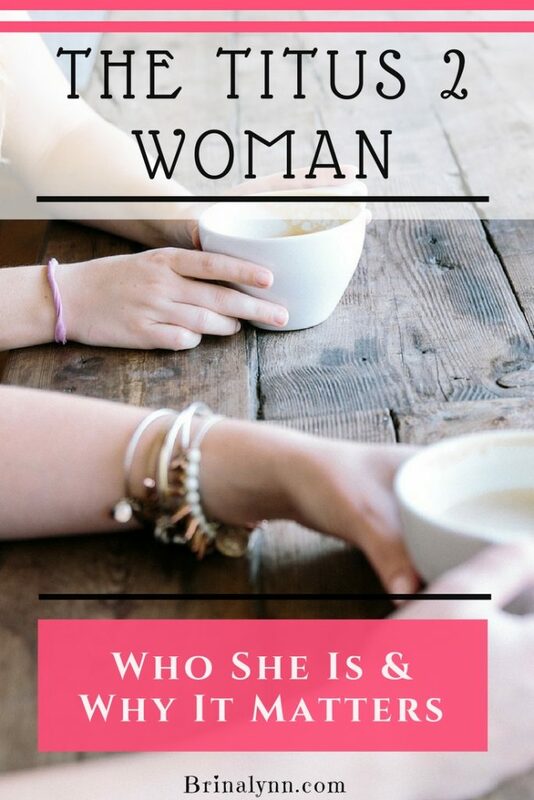 Take the Proverbs 31 woman: She has a lot going on in her life, but the point is that she seeks to honor God in all that she does. She is a woman who fears the Lord, and therefore, she is the excellent wife the king is looking for. Ladies, this also isn’t a checklist. 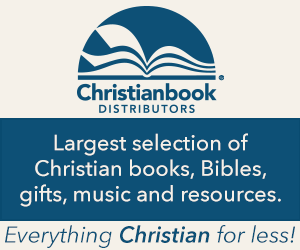 In some things we need checklists, but not when it comes to living and obeying God’s word. First of all, we can’t. In my own strength, I can’t, nor do I want, to do all these things. When I try to make myself be someone I’m not, I’m hiding again. And when I try to do everything just so, checking my boxes, it becomes legalism, and I botch it anyway. The Titus 2 woman is God honoring, God fearing. She loves the Lord, and she loves her family. She’s not just checking off items on a list. This is her heart, her desire. She fails. I promise you she does, but when she does, she’s not berating herself for failing, but crying out to her Father for forgiveness and strength to get back up. 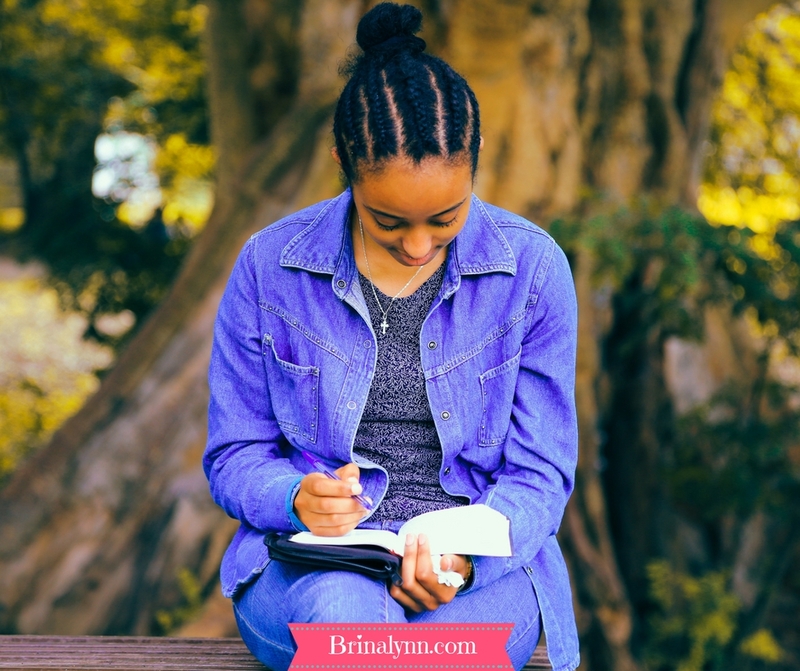 Why is it important to be a Titus 2 woman? I want to be the woman described by Titus because I want to teach my daughters and other young women. Younger women need this woman in their lives. Guess what…there’s always a younger woman than you that you can reach out to, to be the Titus 2 woman for. We all need this woman in our lives. There are two women who, as I am writing, come to my mind as Titus 2 women. One answers to Marion; the other to Avis. When I was a young wife and mother, Marion took me under her wing. She taught me what it was like making things from scratch like jelly and bread. Avis helped me with my oldest when she was a baby by keeping her while I finished up college. She always offered gentle reminders about how important it is to be with your kids when they are little if at all possible. Both ladies taught me unforgettable lessons, but one that stands above the rest was about honoring my husband no matter what. No one had ever really lingered there with me before, but they both did. It was the little things. Marion showed me what it meant to notice a need and fill it. She had a good eye for noticing the needs of others. Avis modeled how important it was to regularly be in the Word. I remember her often at the kitchen table reading her worn Ryrie Study Bible, sipping her cup of coffee. I wasn’t the only young woman these ladies invested their time in. They took their roles as an “older woman” seriously, and I now desire to be the “older woman” because of it. We are so busy that we have forgotten what it’s like to live in community, to care about other people, to teach those behind us. The mindset seems to be, “I’ve raised my kids. I’m done.” Ya’ll, we are never done. There’s always someone a step behind us, struggling with honoring their husbands and raising their children, failing at having self-control and being kind. We need each other. Older women have a wisdom that younger women just haven’t grown into yet. However, if they don’t share that wisdom, how are the younger women to know? I fall into both categories. I need an older woman, a Titus 2 woman, in my life, teaching me. Likewise, I am an older woman to many, and my job is to share what I know–not in a bossy way, but in a loving and kind way, showing my desire that they seek the Lord and honor him in their day to day. I would say that most of us fall into both categories. Let’s agree to teach the younger women, and at the same time seek to be taught by older ones. Because it’s included in Scripture, we know God considers it important. How will they know if we don’t share and teach? Who is your Titus 2? Give her a shout out! So funny, my Titus 2 went by the name of Marian. Similiar name to yours but a different person of course. She taught me so much about pushing my own fleshly thoughts and desires to the side and following God ESPECIALLY when it was hard (& I didn’t agree with the hubs on things). I’m forever grateful. These women never know what an impact they have on other (usually younger) women. *We* have no idea who we impact either. May we always be seeking the Lord and sharing his love with other women! Yes, Jennifer! We have to keep pouring into one another! I had wondered to myself if I may be old enough to be a Titus 2 woman to someone else, even though I feel like I need one in my life for myself. I’m really lucky to have an aunt who fills that role in my life if I need the advice, but since I live a little ways away now, it’s harder to get together. I appreciate what this post says, and will keep my eyes open for the opportunity.